The Royal Livingstone Hotel was built on the Zambian side of the Victoria Falls and opened in 2001. This former Sun International hotel was built from scratch right beside the Zambezi River. If you are familiar with the colonial style of architecture, you will greatly appreciate the design of this magnificent accommodation option. You will find ceiling fans in all areas of the hotel, beautiful artefacts, paintings and drawings from the Livingstone era. 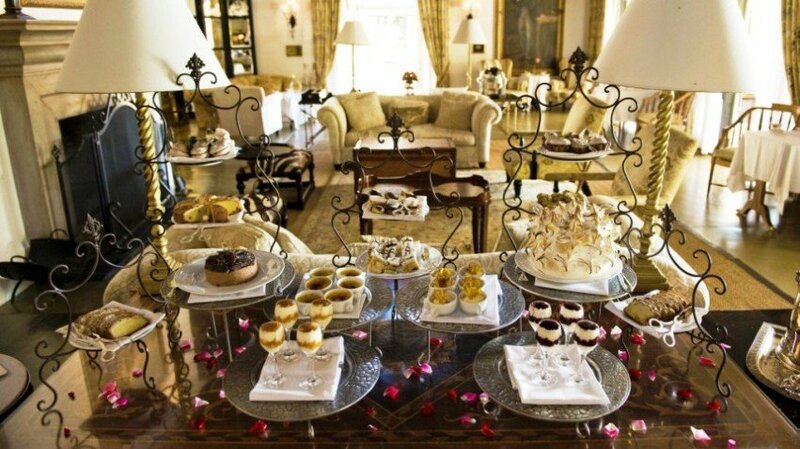 This 5 star establishment is on the Mosi oa Tunya Road, a 1.4km drive or walk from the Victoria Falls themselves. Of-course the view of the Victoria Falls from the Zambian side is quite different from that on the Zimbabwean side. 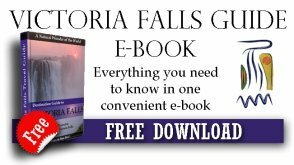 Shuttle service to and from the falls is available at the hotel. From the Royal Livingstone Hotel reception you can immediately see the Zambezi River across the rolling lawns. 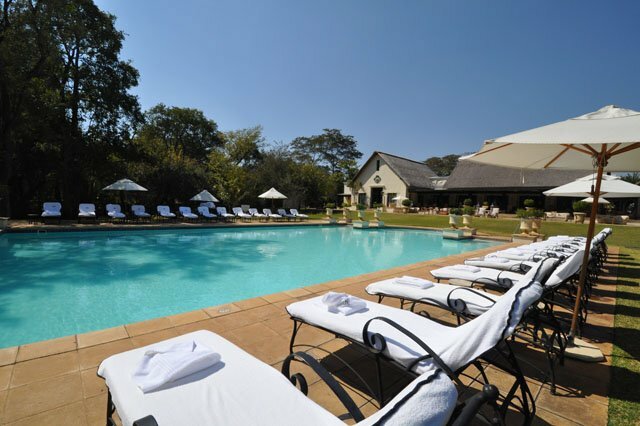 There are 173 rooms at the Royal Livingstone Hotel. 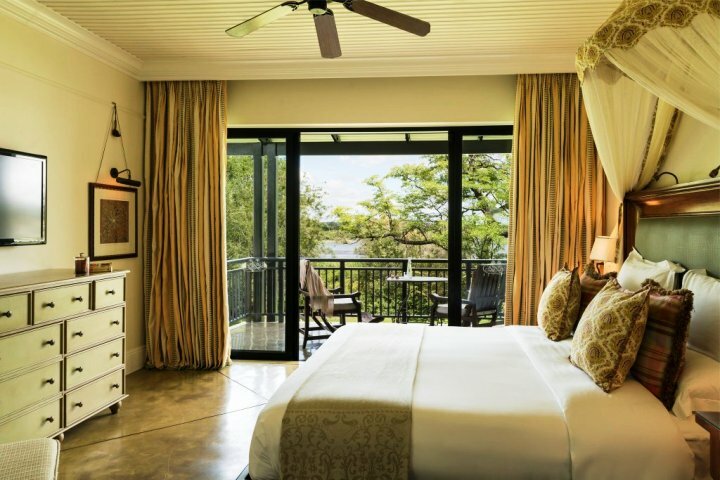 All of the spacious rooms have en-suite bathrooms and a private veranda. They do face the Zambezi River although not all of them will have the view because of trees in front of buildings. Located near the reception is the business centre where guests can use computers with internet, although wireless internet is available all around the premises. 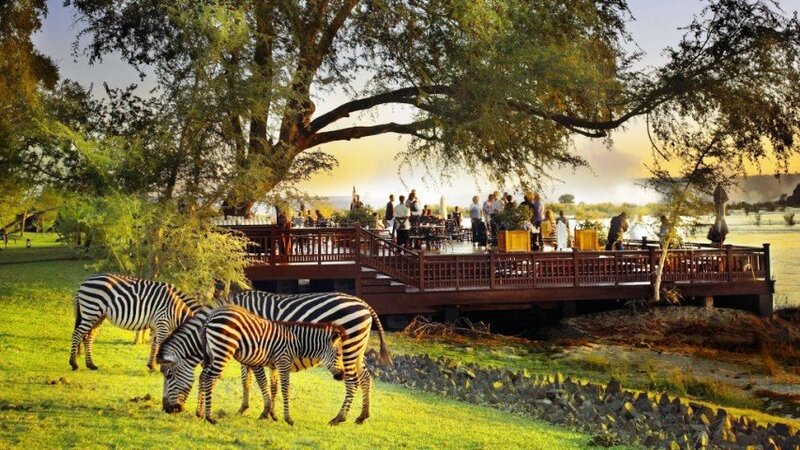 The restaurant, lounge area and bar face the magnificent Zambezi River so guests can lounge with an awesome view. In front of the lounge also is the swimming pool with sun beds, rolling evergreen lawn and the decks. These decks are wonderful and guests can enjoy drinks and meals while watching the river flow by. The never ending rising spray from the falls less than a kilometre downstream is clearly visible from these decks. 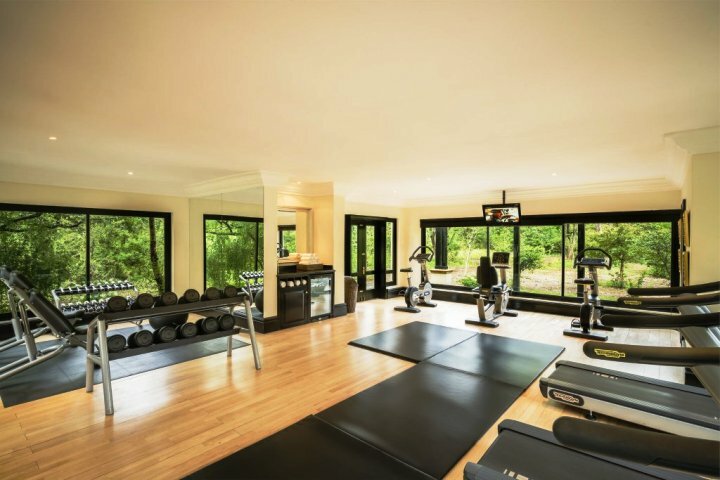 Guests at the Royal Livingstone are welcome to treat themselves in the health spa in the main area of the hotel, and in the gazebos near the river bank, as well as the gym. It is expensive to stay at this luxury hotel but then it is a beautiful and opulent 5 star hotel and is therefore suited to guests who are more concerned about the quality of their accommodation than the price. This 5-star quality establishment is a beautiful place to stay and is great for those who want high quality accommodation while exploring the Victoria Falls area. Children under 2 years do not pay for accommodation. However, their meals are charged at discounted children’s rates. Children over 2 years are accommodated in their own room with a maximum of 2 children per room.